THEY MADE HISTORY. SO WHY DON’T WE KNOW THEIR NAMES? Mo Rocca shares the stories of “The Forgotten Forerunners” on this week’s Mobituaries podcast. Just outside the Toledo Mud Hens minor league ballpark stands a Ohio state historical marker honoring the first African-American major league ballplayer. And no, it is not for Jackie Robinson. “You've got to rewind a few decades, from 1947 back to 1884, actually,” says Rob Wiercinski who manages communications for the local team, as he shows Mo Rocca around what is now considered Moses Fleetwood Walker Square. The area is dedicated to the African-American catcher who made history when the Toledo Blue Stockings briefly joined the majors in 1884. Rocca explores Walker’s little known story and how his participation in the game led to the color barrier that Robinson eventually broke. A little over 100 years before Rosa Parks took a stand by sitting, Elizabeth Jennings, a young African-American school teacher, struck her own blow for justice after she was forcibly thrown off a segregated streetcar in lower Manhattan. Jennings teamed up with a future president of the United States to sue the rail company, paving the way for integrated transportation in New York. “She’s bold in a variety of ways,” according to Leslie Alexander, associate professor at the University of Oregon and author of a book about the African-American experience in New York. For years Jennings was celebrated for her activism but her mark on history has largely been erased. And then there is the woman who ruled Hollywood before pictures even had sound. Lois Weber was the first American woman to direct a feature-length film, a 1914 production of Shakespeare’s The Merchant of Venice. An innovative visual storyteller, whose films tackled social issues, Weber was also one of the most respected and highest-paid filmmakers in the industry. She even served as mayor of Universal City, seven years before women earned the right to vote nationally. In fact, Weber was not an anomaly. It turns out several women found success behind the screen but in a short time, they all but disappeared. 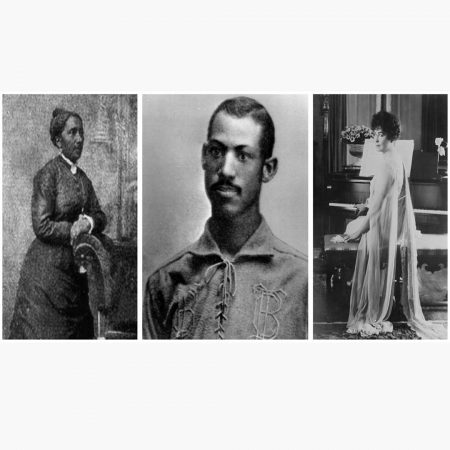 For the full story on all of these remarkable trailblazers and why they should be remembered, download this Mobituaries podcast on Apple Podcasts, Google Play, Stitcher, or Spotify. New episodes are available every Thursday.